Awesome! Soups. that donut is a real beauty. I really struggled with mine and made and undid quite a few designs. Last night very late I finaly made something I felt happy with. My mum came in from work today and spied it and said oooh! I love this piece you've made. So its a keeper, I just have to take some good photos of it. I am sooooo relieved. o it will be fun to see! what a fabulous fun thing to do!! Can't wait to see how you get inspired as you have inspired us all! I'm excited to see what you make too. I hope you overcome your problems with donuts with your soup projects (...hmm it sounds like I'm talking about recipes and not beads). Have fun! 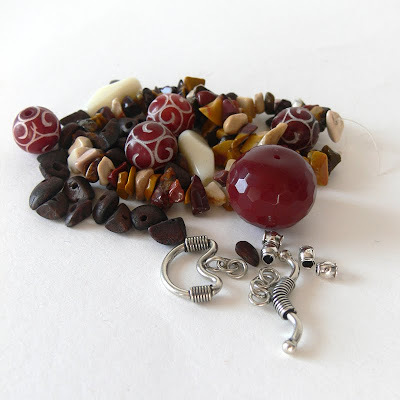 What gorgeous bead sets you received!! I just know you will make some wonderful things with them! I just stopped by the Flickr pool and saw so many wonderful Bead Soup sets. What a great group gathered here! 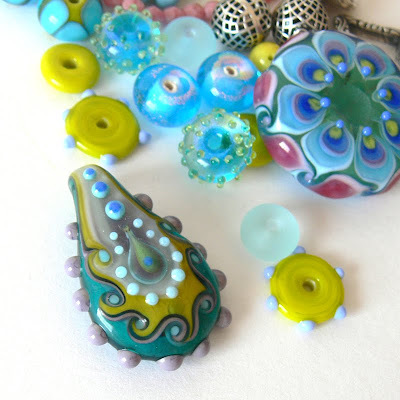 i'm having so much fun with the bead soup party..it was a wonderful idea. The photos look great Lori. I am glad you like everything and can't wait to see what you come up with. Off to cook up my soup! Very cool! The colours in the first mix kind of make my mouth water :-o like I'm looking at lemons and lime or something. Very different stuff - this is going to be interesting. Love it! Hope you are having a great weekend! That is the most beautiful, fat free donut I've ever seen. I know you will make something spectacular with both soups! Hi Lori, you've got your cup full with mixes, have fun and thanks for organizing the party! 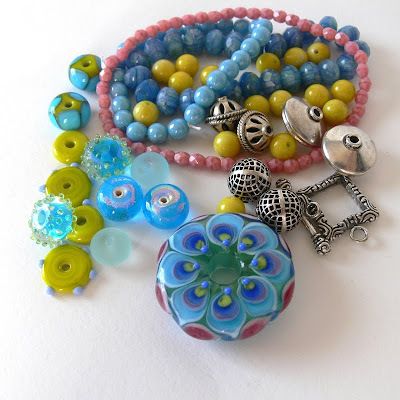 Such pretty groupings of beads!